Abhi and Pragya recall the happy moments spent with each other as their respective daughters take their sound sleep. They both wish for their other daughters to be healthy and happy wherever they are. Beeji interrupts Pragya and tells her that there’s no point recalling moments that hurt one. Pragya says she can’t remove the memories that are a part of her life. Prachi wakes up and asks Beeji why her mother doesn’t let her know about the details of her father. 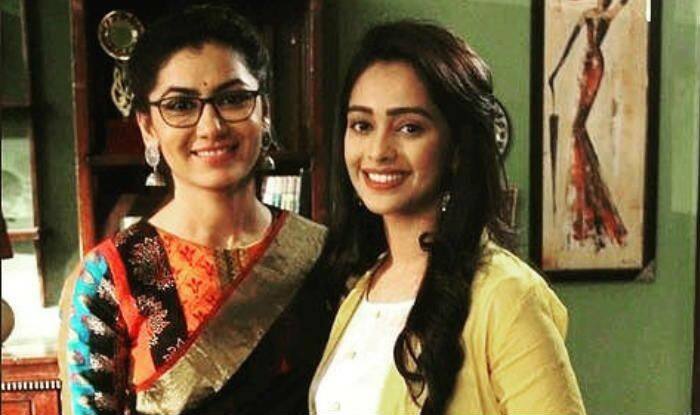 Beeji tells her that Pragya will reveal everything to her at the right time. The next morning, Prachi reveals that she has received a scholarship to study in Delhi. Prachi and her cousin are left disappointed hearing that Pragya doesn’t want her to go to Delhi. Pragya recalls how she vowed to never come back to Delhi. Prachi comes to her room and asks her to not cry. She promises that she will never leave her alone. Rohit, the man who misbehaved with Prachi the other day, comes to meet her at her house. He tells Pragya that he wants to marry her. An angry Pragya questions Prachi if she knows him. Prachi tells her that he has been following her for the last three days but she always ignored him. Pragya then asks Prachi to give him back since she has always taught him to stand up for herself. Prachi slaps Rohit and tells him to not trouble her from now on. Even Beeji asks him to leave and never be seen around Prachi. He warns everyone and says he’s going nowhere and will get Prachi. Beeji goes to Pragya and tries to make her understand that she should let Prachi go to Delhi and complete her studies. She tells her that her past shouldn’t come in between Prachi’s future as she has received a once in a lifetime opportunity by getting the scholarship.